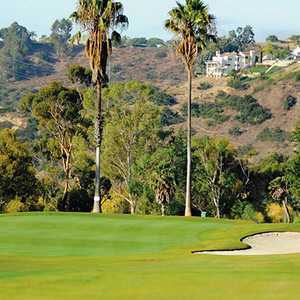 For every amusement park fantasyland in southern California for children, there is a peaceful paradise golfers can use to decompress from all the mayhem. Giant pandas are big attractions at the San Diego Zoo. This yin and yang -- the madness of busy tourist traps counterbalanced by the serenity of golf -- makes southern California one of the best family golf vacation spots in the world. Parents who drag along the clubs can do so guilt-free, knowing that their children will get their fill of fun in the sun. A family golf trip to southern California isn't cheap in summer, but the near-guarantee of perfect weather and the piles of memorable photos taken should make up for sticker shock. My family of four discovered one cool place after another on our week-long journey between San Diego and Los Angeles in August. It's hard to figure out which generation had more fun. Our first family trip to the "other" Disney -- we've conquered Walt Disney World Resort in Florida before -- was a good one. We like that Disneyland in Anaheim feels more compact than Disney World. Despite their size differences, we still found all of our favorite rides -- Toy Story Mania!, Buzz Lightyear Astro Blasters and Soarin'. Best of all, the two neighboring California parks, Disneyland and California Adventure, don't require the shuttle rides that slow down guests at Disney World. We walked between the two parks (extra charges apply for Park Hopper tickets) to chase down a coveted FASTPASS and beat the crowds. The luxurious Resort at Pelican Hill, a gorgeous 504-acre property in Newport Coast overlooking the Pacific Ocean, turned out to be the perfect detox tank from the crowds of Disney. The Italian-themed Pelican Hill, rated the top golf resort in the state in 2011 by Conde Nast Travelers, opened in 2008, a year after the resort's two coastal Tom Fazio courses completed major renovation work. The resort's 204 bungalows are spacious enough for families and still romantic enough for a honeymoon. The salt-water Coliseum pool, one of the largest circular pools in the world, is popular with both young and old thanks to its stunning golf course and ocean views. The Coliseum Pool & Grill serves both sophisticated meals -- I destroyed the spaghetti with hand-made pasta -- and comfort food for kids. For a day at the beach, the resort runs a shuttle to nearby Crystal Cove State Park. The Ocean South course at Pelican Hill Golf Club actually hugs this sandy beach for three scenic coastal holes, including back-to-back par 3s. The Ocean North course, my favorite round on the trip, plays longer and more difficult, requiring more forced carries and some heroic shots. After golf, take advantage of the complimentary access to the spa facilities, a luxury that usually costs extra. For children under age 10, Legoland California in Carlsbad might be even more of a hit than Disneyland. The rides are geared to the younger set. My 9-year-old son and 6-year-old daughter loved the Star Wars LEGO scenes and the recreated LEGO cities of New York, Washington, D.C., and Las Vegas. Legoland even has a mini-golf course for family putt-putt. Visiting the park's water park, opened in May 2010, broke up our hot day (although it also costs extra). The lazy river allows you to relax a bit. Be sure to ride a six-person raft down the major waterslide. It's a scream. The resort has grown so quickly since opening in 1999 it recently announced more expansion plans. Just minutes away, the La Costa Resort & Spa, an iconic resort in Carlsbad, is undergoing $50 million in renovations. All of the rooms have been redecorated to bring the outside in. La Costa has become more family friendly. Two pools for children complement a new adult-only pool, scheduled to open this fall. Most children spend much of their time racing down two water slides or in a splash park. Kidtopia -- a daycare service where video games, crafts and playtime rule -- allows adults some playtime, too. Translation: Golf and spa. La Costa's two classic courses -- the renamed Champions (the former North Course) and the South Course -- are scheduled to re-open in November 2011. The firm of Pascuzzo & Pate has moved bunkers, reshaped fairways and tinkered with greens to reinvent 22 of the resort's 36 holes. 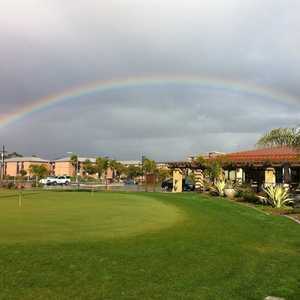 The changes will continue La Costa's tradition of hosting professional championships. 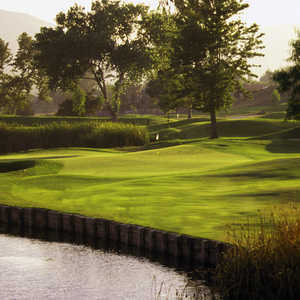 The courses have hosted more than 37 pro-golf events, including the World Match Play Championship from 1999-2006 and the LPGA's Kia Classic in 2010. Even the world's oldest destination spa has been renewed. New treatments, such as the 80-minute Aromatherapy Rain Massage, have launched La Costa's spa, rated No. 1 in southern California by Spa Magazine, to even higher heights. It took contractors three tries before the new reflexology path turned out right. The path contains stones of all shapes and sizes embedded in concrete, designed to stimulate pressure points in the feet corresponding to major organs and other parts of the body. The invigorating, outdoor Roman waterfalls and outdoor heated pools provide more relief. The all-you-can-eat breakfast buffet and dinner on the patio at the BlueFire Grill cater to all tastes. Running out of time trying to see and do it all is the biggest problem for first-time visitors to San Diego. The city is clean, walkable and safe. An irresistible animal attraction draws millions to SeaWorld San Diego and the San Diego Zoo annually. We saw more dolphins and rode the waves at the wonderful Coronado Municipal Beach. Join the Navy, without the four-year commitment, by touring The USS Midway Museum, a retired aircraft carrier in the harbor that provides a fascinating look at life at sea. The downtown Gaslamp Quarter remains touristy (try Sammy's Woodfired Pizza). Our favorite discovery came in Old Town San Diego, a charming Mexican-inspired village north of downtown where the aroma of fresh burritos cooking outside the Cafe Coyote attracted a long line. Lunch there was dynamite. The Grand Del Mar Resort, an immaculate Mediterranean escape, resides just 25 minutes further north of SeaWorld and Old Town. The architecture of this 249-room retreat features endless marble floors and columns, meandering walkways, inspiring artwork and outdoor gathering spaces. It all comes with the five-star treatment. My perfect family day at The Grand unfolded with the children terrorizing the Explorer's Club, my wife zoning out in the award-winning spa and me on the golf course, served by a caddie who moonlights for LPGA Tour players. The Tom Fazio course spills across the Los Penasquitos Canyon Preserve with generous fairways, flanked by deep bunkers and intriguing greens. The area's PGA Tour pros like to hang out Mondays when other exclusive country clubs are closed. Some local hacker named Phil Mickelson owns the course record with a 63. The Addison rates as southern California's only Five-Star/Five-Diamond restaurant. Since we didn't pack our Sunday best, we ate on the patio at the equally elegant Amaya in a more casual setting. I recommend the duo of beef, which was, without a doubt, my favorite meal of the week. It's a grand life, indeed, in southern California -- even with two children in tow.